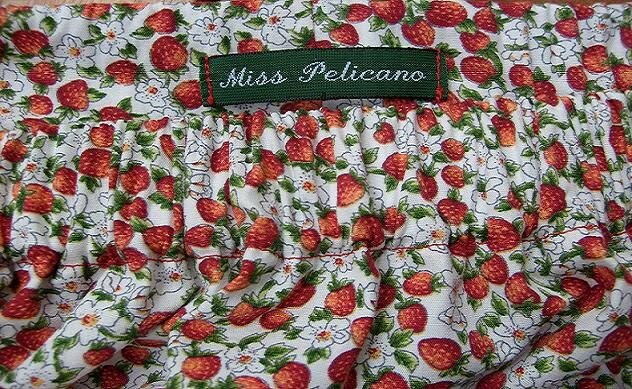 Piri Piri, the colourful children's clothes shop in Lisbon, Portugal, has come out with a charity campaign in favour of the children's cancer hospital, together with the support of the Portuguese Cancer League. 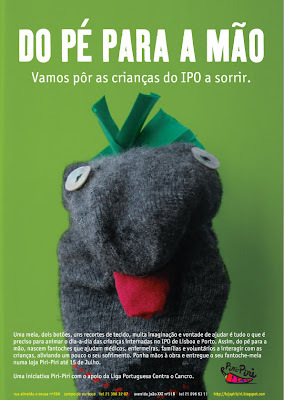 All you have to do is make a sock puppet and leave it in their Lisbon shop by July 15th. Not so easy, I understand, if you don't live in the area. But it's still worth mentioning. Maybe you know someone you lives around there! Or maybe you can send the a handmade puppet by post! Or why not run your own campaign in your local area? It's a great cause, to cheer up the children who have to be in hospital. Your help is much appreciated! 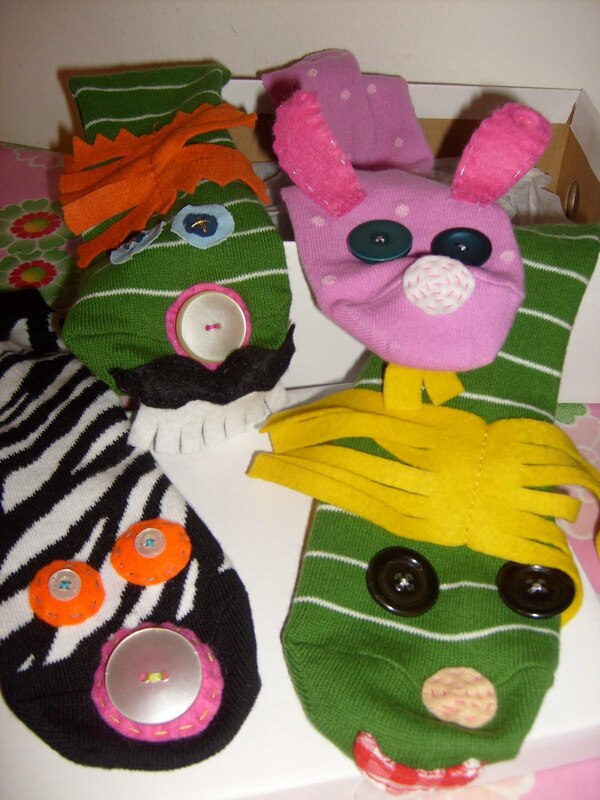 Last year I made some sock puppets here and gave them to the local children's emergency hospital. And I wrote a post about it. One of the owners of the Piri Piri shops - who turned out to be an old school friend who I haven't seen for about 20 years - saw my post and thought that it would be a good idea to run a more extensive campaign using the sock puppet idea. I am very happy that my puppets have inspired this great campaign. Next week we'll be going down to Portugal and we will definitely meet my friend and take a sock puppet with us! The puppets are a really sweet idea! I can understand why it has inspired others. Well done! That's a really inspiring initiative! Não sabia desta iniciativa... será que ainda vou a tempo?